Public lands managed by the federal government loom large in western politics, a defining topic dictating the political debate. Corporate interests – logging, grazing, and mineral extraction most prominently – have often succeeded in dominating that debate through their good-old-boy network of legislators, county commissioners, lobby groups, and captive agencies. This powerful group largely controls the imaginary “custom and culture” of the West, a myth which reflects an attitude of dominion over nature, an anti-regulation mindset, and an obsession with economic profit regardless of social or ecological consequences. But in reality, westerners in large numbers don’t actually share these values. With the influx of tech companies and professional workers from other regions, this extraction-centric worldview is becoming a tinier and tinier minority viewpoint in a West that increasingly prizes unspoiled scenery, abundant wildlife, and recreational values above extractive uses of public lands. As they sense their deathgrip on the public debate slipping, those seeking to maximize exploitation and marginalize conservation on western public lands are becoming increasingly strident in their insistence on a variety of fictional assertions about the West. Here is a list of some of the most outrageous misinformation being peddled through the media and via political channels. Big Oil has been trying for decades to sell America on the idea that it is not a dirty industry, and that whatever its latest environmental disaster happened to be, it was a rare occurrence that will never happen again. Drilling rigs, pipelines, and the spiderweb of dusty access roads can exist side-by-side with abundant native wildlife, they assert. But we know better. An onslaught of scientific studies demonstrates conclusively that converting undeveloped habitats into industrial oil and gas fields decimates sage grouse and mule deer populations, interferes with pronghorn migrations, and harms native wildlife from the tiny sage sparrow to the majestic golden eagle. It no longer matters how many slick paid television ads show pumpjacks against the backdrop of purple mountains’ majesty, the public – from hunters to wildlife viewers to local westerners worried about their deteriorating quality of life – just aren’t buying it anymore. And this spatial incompatibility doesn’t even begin to address the broader problems of burning those fossil fuels and adding to climate change’s impacts on native wildlife species. The Endangered Species Act is one of the nation’s most popular laws, enjoying 90% support from American voters, but that doesn’t seem to deter anti-environmental interests from claiming that nobody wants to see it used. Sen. Barrasso (R-WY) is currently pushing legislation to gut the ESA by turning over key decisions to states that don’t want the law enforced, while the Trump administration is trying to change the regulations to loosen protections for our rarest wildlife. It just isn’t true that, “No one wants to see the sage grouse listed under the Endangered Species Act,” no matter how many politicians or bureaucrats say it. While it’s true that most sentient beings are opposed to extinction and don’t want to see species plummet to the level of ESA listing, the majority of westerners do want to see highly-imperiled species like sage-grouse gain federal protection under the law. A 2004 Central Colorado College survey found that on the conservative West Slope of Colorado, 68% thought the Gunnison sage grouse ought to be listed under the ESA. The Gunnison sage grouse was listed as a ‘threatened species’ in 2014, and a 2016 poll of West Slope voters found that 66% thought the bird should continue to be listed under the ESA until they are fully recovered. A 2014 poll commissioned by Defenders of Wildlife found that 67% of westerners supported listing the related greater sage grouse under the Endangered Species Act, including 57% in Wyoming, traditionally considered an anti-ESA state. So, when western good-old-boys say that nobody want to see endangered species listings, they’re speaking for themselves, not for westerners. This Big Lie started with Smokey the Bear and his Forest Service admonition, “Only YOU can prevent forest fires.” This myth, assuming all fires are human caused and unnatural, has been spreading from forests to deserts to grasslands ever since. The reality is that fire is often a natural event, and most western conifer forests naturally burn as hot, uncontrollable conflagrations every 200 to 700 years. Lodgepole pine – a colonizer forest type that the timber industry deliberately re-establishes for through clearcutting – is actually fire-dependent and burns even more frequently. Out in the western deserts, overgrazing has created vast monocultures of cheatgrass, an invasive weed that destroys habitat values for wildlife and burns as often as every 5 years, and this is unnatural. In both forests and deserts, the really big fires happen during the driest, windiest weather, when wind can carry burning embers a quarter mile or more, and even interstate highways and the mighty Columbia River have been jumped by advancing flames. For both fires within their natural range of size and intensity, and those that are unnaturally large or frequent, it is foolish to think we can “control” them. On arid rangelands, federal agencies and local conservation districts propose “greenstrips” a few hundred yards wide in the face of flying brands that carry for a quarter mile or more to start spot fires ahead of the flame front, in full knowledge that the “greenstrips” will be brown and combustible by the late-August peak of fire season. Federal and state agencies are fond of funneling millions in taxpayer dollars into fuel breaks in the backcountry despite science showing serious environmental impacts and a complete absence of reliable evidence that they work, for the political purpose of saying “we did all we could” and securing plausible deniability when uncontrolled fire inevitably burns into residential communities. The same is true for logging in forested backcountry – it just doesn’t work to stop or slow fires. Once a fire gets started and local topography and wind direction are understood, fuel breaks can be a very useful tactic. Instead of pretending they can control fire on the open range or in fire-adapted forests, officials would be better off focusing prevention efforts on defensible space immediately next to homes and communities, and educating the public on fire-wise methods to make homes as flame-resistant as possible. Western public lands are so uniformly overgrazed that the degradation seems normal. The livestock industry likes to blame this abuse on wild horses. But in reality, most of the West has no wild horses at all. For example, only 12% of sage grouse habitats have any wild horses. Wild horses are a rare sight, so for the overwhelming majority of lands that are in poor condition, the domestic livestock are the cause when land health and wildlife suffer. Even where wild horses do occur, the impacts of horses are vastly outweighed by the damage caused by the domestic livestock that graze on public lands, which outnumber wild horses on the range by more than 36 to 1. Like any herbivore, wild horses can damage their habitats when overpopulated, but given the aggressive program of federal roundups, horses rarely reach these densities. Ranchers vary in the degree to which they damage public lands and native ecosystems. The worst of the worst are fond of trumpeting the Big Lie that livestock are actually good for the environment. If the environmentalists would just leave ranchers alone, according to their logic, they would naturally do what is best for the lands and wildlife, forsaking their own profit motive. If ranchers were such great stewards, why are there so many endangered species on western public lands where cattle graze? Even the idea that ranchers protect open spaces is a myth: Virtually every rural subdivision ever built started with a rancher selling land to a developer. Yes, Virginia, there are real environmentalists: And they are not the commercial livestock operations pushing non-native invasive cattle and sheep into the remotest backcountry, but the nonprofit environmental professionals who enforce federal and state protections for lands and wildlife. These laws were written after over a century of abuse by the same industries and emerged in direct response to unmitigated disasters like the Dust Bowl and species extinction. Those who cannot learn from history…. The eradication of native predators goes as far back as Manifest Destiny and the drive to tame the wilderness. The settlement of the West caused many species of native wildlife to become extinct, including big carnivores, as the West was domesticated into a landscape more suitable for “civilization.” Native wildlife incompatible with the livestock industry’s business model – from large predators that eat the occasional calf or sheep to prairie dogs, elk, and bison that compete with cattle for grass – were driven out. Today, large carnivores are making a comeback. They are territorial and occur at relatively sparse population levels, and there is little evidence that they limit or depress populations of elk and other hunted animals. Emerging science shows that the killing of predators in response to livestock losses may actually make those losses worse in the future. Today, more and more westerners are demanding healthy ecosystems in which native predators are a key component and in which ranchers are expected to coexist with native wildlife instead of wiping it out. The livestock industry’s war on native wildlife, led by the USDA’s cynically-named “Wildlife Services” (which killed 2.3 million animals last year, the majority of them native wildlife), is under increasing scrutiny, and the entire program is ripe for elimination. Westerners have short memories when it comes to boom times. Oil and gas production runs in cycles of boom and bust driven by fluctuations in commodity prices. When prices are high, out-of-state corporations flood western states to make their millions, and then pull out when prices drop again. 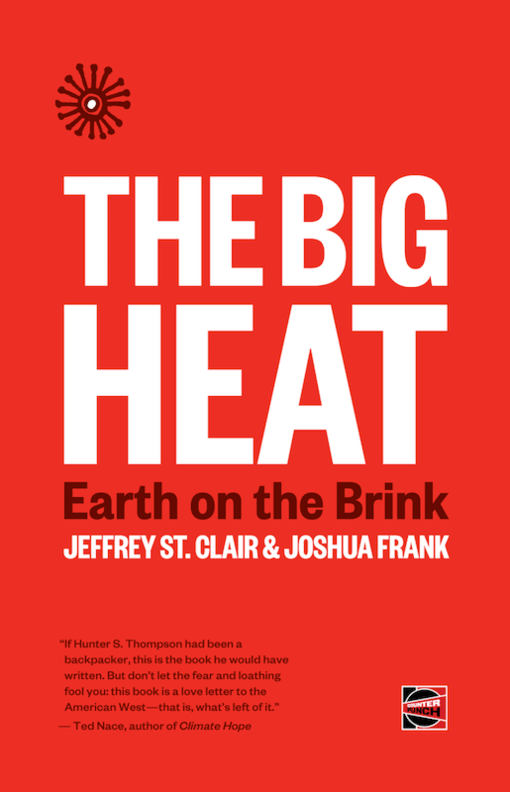 With booms come spectacular crime waves, social disruption, and financial stress as communities struggle to provide services and laborers to the temporarily ballooning population. As prices inevitably collapse, local governments are left holding the bag for pricey development projects, jobs disappear, young people emigrate, and whole towns dry up and blow away. This cycle of boom and bust has led economists to label western states as resource colonies, akin to developing nations that are stripped of their natural wealth to enrich a handful of billionaires in faraway cities. Where economic diversification takes root, communities thrive. Communities that stake their existence on the economic scourge of natural resource exploitation are doomed to die out. Dating back to the 1800s, when big ranching operations were established by the second sons of British nobility who by law couldn’t inherit the family estate back home, the livestock industry has cultivated the self-serving mythos that it is the cornerstone of western economies. But if you run the numbers, you get a far different picture. University of Montana economist Thomas Powers did a West-wide assessment and found that the livestock industry accounted for only 0.1% of western economies. That’s not all that surprising when you consider that western state economies include metropolitan areas that are major engines of growth, including California’s Silicon Valley and its budding clones in other western states. Even in Wyoming, the least populated state in the West, all agriculture put together makes up only 1.5% of the gross domestic product, according to state statistics. Explorer John Wesley Powell called America west of the 100thmeridian “the Great American Desert,” and Powell had it right. Western mountains and basins are so arid and unproductive for cattle that only 1.9% of America’s beef ever sets foot on western public lands, despite the cowboy myth that pervades western culture. The biggest contributor to western local economies? Investment income, often from retirees, according to Headwaters Economics compilations of U.S. Census data. Back in the 1800s, the public domain was a free-for-all where anyone could mine, log, or graze their livestock on any lands they could control at the point of a gun. But local westerners grew frustrated with big corporations that logged off their mountains, grazed their basins down to dust, and polluted their water supplies with massive mining operations. Starting in the 1890s, westerners successfully lobbied for federal agencies to manage the public lands. By the 1950s, after prioritizing extractive uses for many decades, the public pressed Congress to enact a series of environmental laws to steer these agencies toward sound and sustainable land stewardship. Under these new laws, and the regulations developed to implement them, agencies were required to manage most public lands under a “multiple use” mandate that includes wildlife habitat, watersheds, historical features, and public recreation among the key uses. No longer would the almighty dollar rule the public lands, at least in theory. Agencies were granted the option (but not the obligation) to lease public lands for livestock grazing, to lease underground minerals for oil and gas extraction, and to contract with logging companies to cut down tracts of forest, as long as environmental standards are met. With some exceptions, these same agencies have full legal authority to halt granting these leases and sales of public resources at any time, for any reason. In reality, federal public lands are managed in trust by federal agencies for the landowners – all Americans – and with that responsibility comes the obligation to put the public interest writ large ahead of the profit interests of any one corporation or industrial sector. Every time there is an election, you’ll hear more and more of these dishonest statements baked into the talking points of politicians hoping to sway enough votes to get elected. But this Big Lie isn’t told exclusively during limited to election season. It can be heard year-round from corporate lobbyists, county commissioners, Cliven Bundy and his ragtag band of armed militants, and sometimes even from well-intentioned conservationists who don’t know any better. But for the past century and a half, state and local governments have controlled the development of private land and the management of wildlife populations. If states and counties were so great at land stewardship, why is there urban sprawl in rural areas? Why are there so many endangered species? And when you look at the water and air pollution that dominated America in the 1950s and 1960s, it took federal laws and regulation to clean up the problem, after state and local governments failed to address the poisoning of their own residents. The fact of the matter is that state and local governments, due to their smaller size, are easier targets for big money interests and big polluting corporations to bully into submission. Many state governments have been captured by the industries that exploit public lands for their own private gain, and cannot be trusted to own or manage federal public lands. It would be easy to conclude that if you catch a politician, a community leader, or anyone else repeating one of these Big Lies, that makes them a liar. While that’s often true, it’s not always so simple. There are plenty of people out there who aren’t in a position to know any better, but are vocal with their opinions nonetheless. Repetition is the way the big lies are adopted as truths: Tell the same falsehood 26 times, according to advertising industry research, and the audience will accept it as common knowledge. Beware the Big Lie in western political discourse. Everyone in the West – and every owner of western public lands (in effect, each American citizen) – should do their part to bring daylight to these falsehoods and to ensure that political decisions that affect us all are driven by realities rather than distortions.